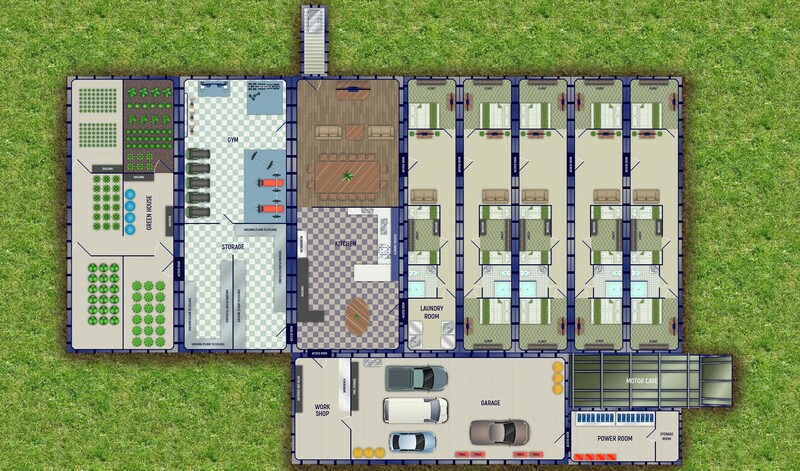 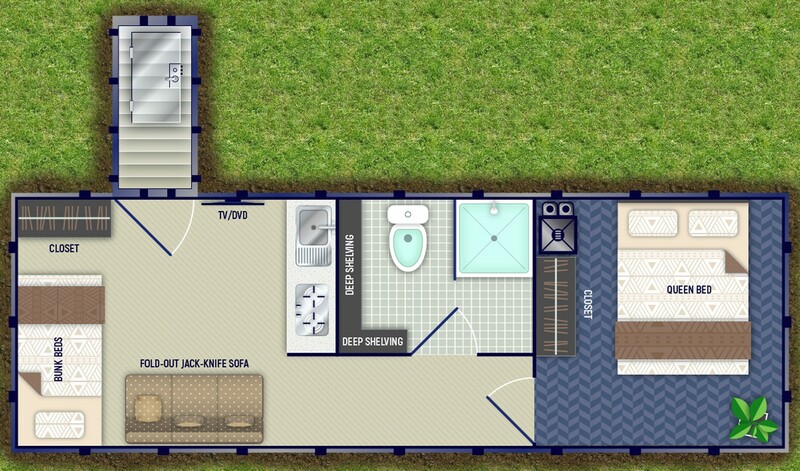 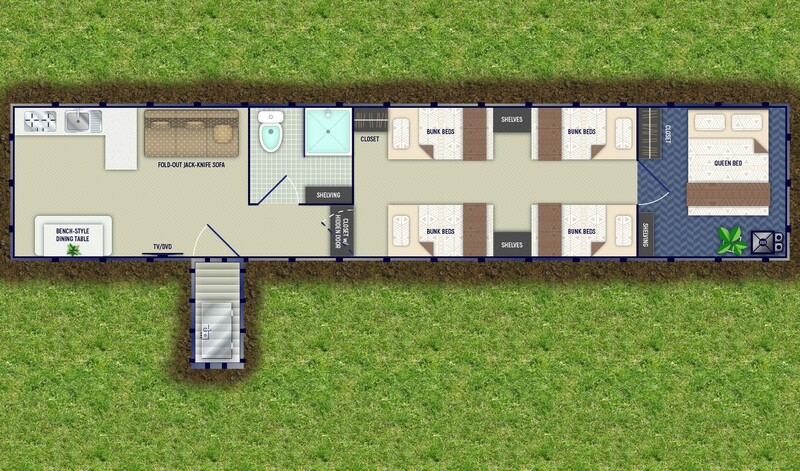 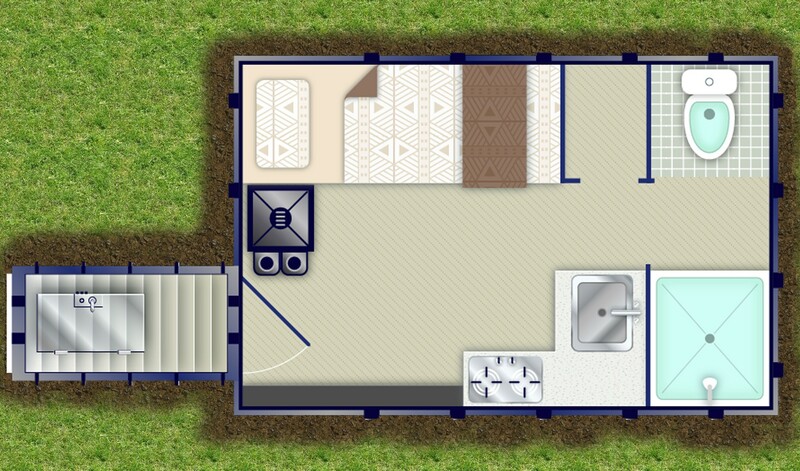 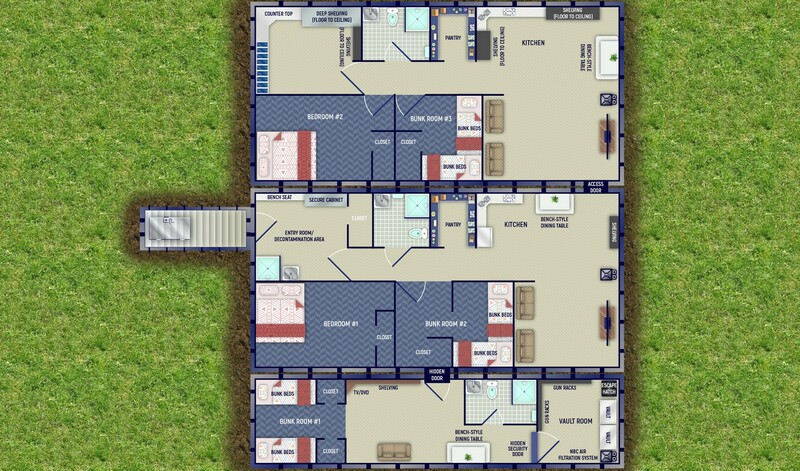 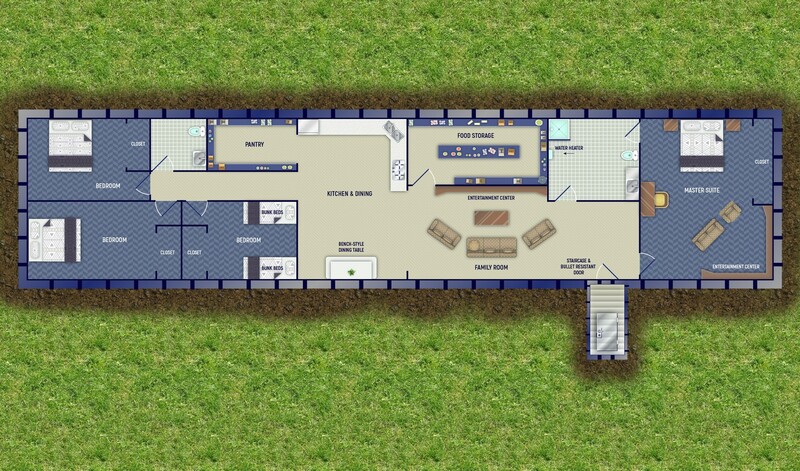 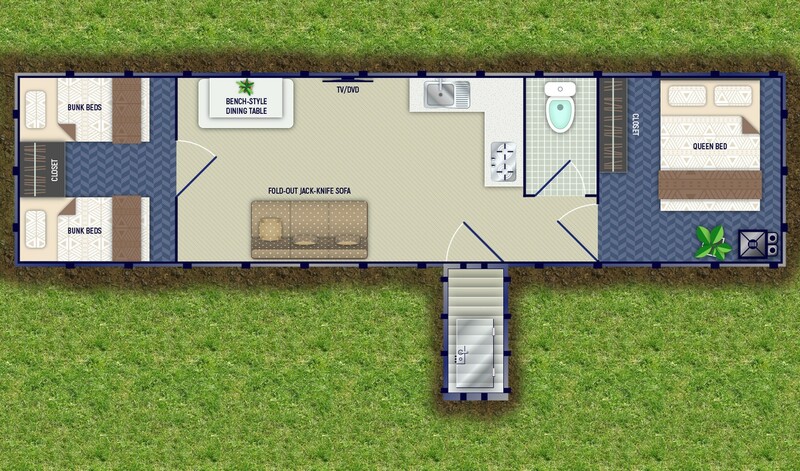 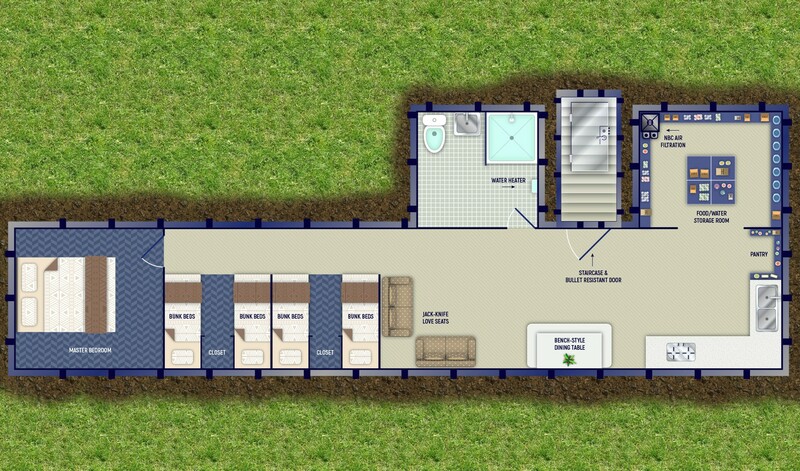 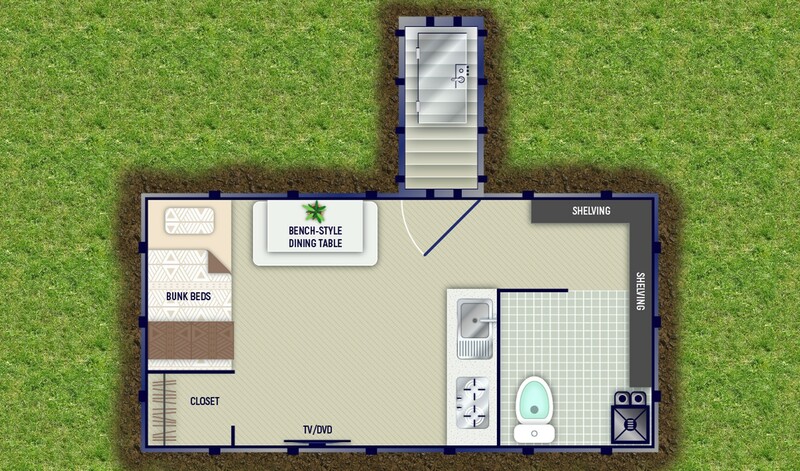 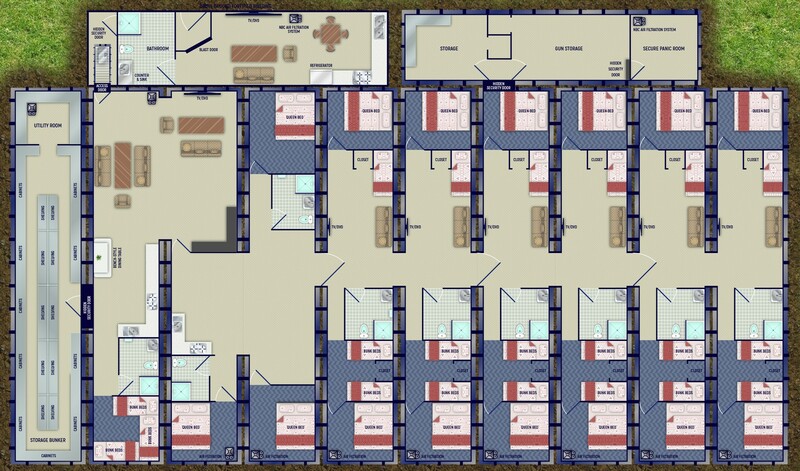 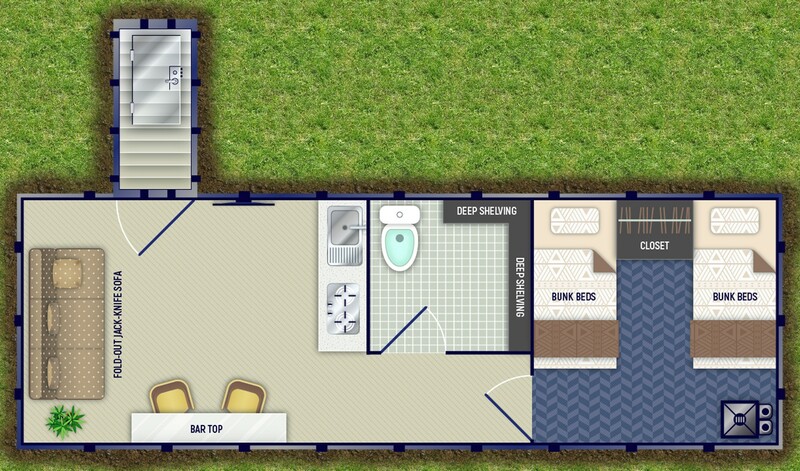 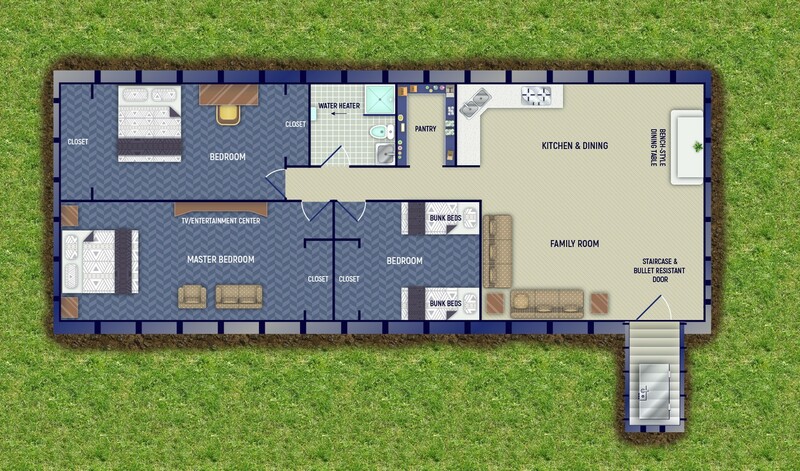 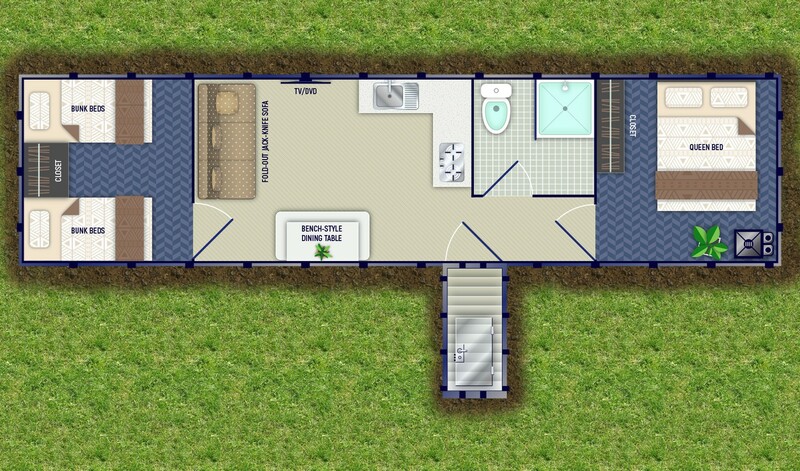 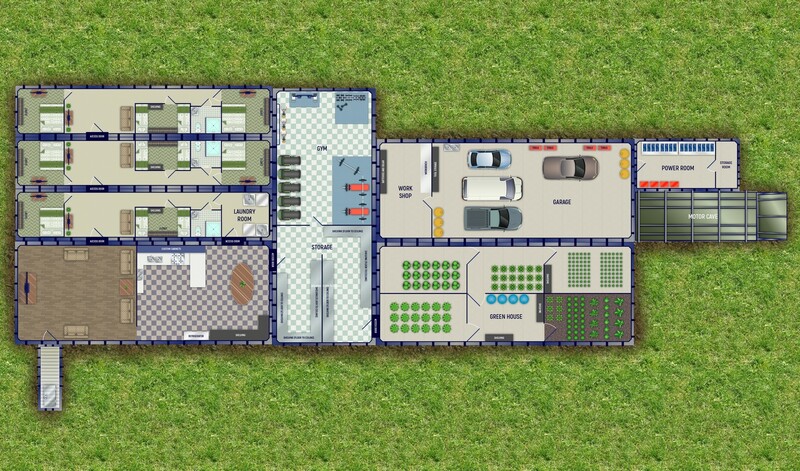 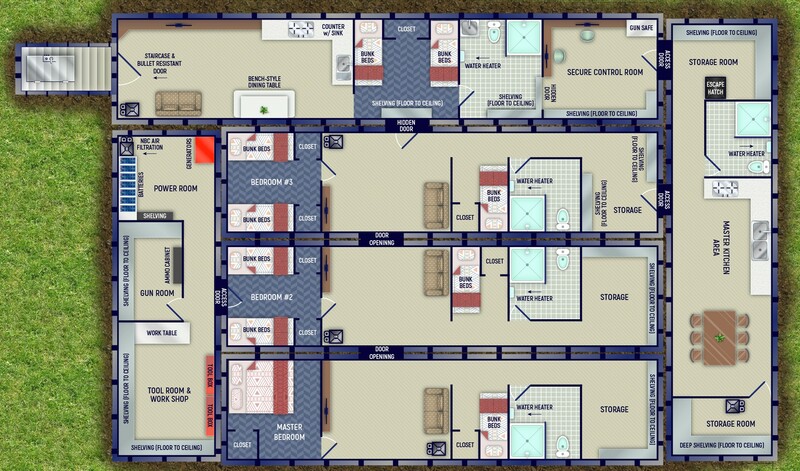 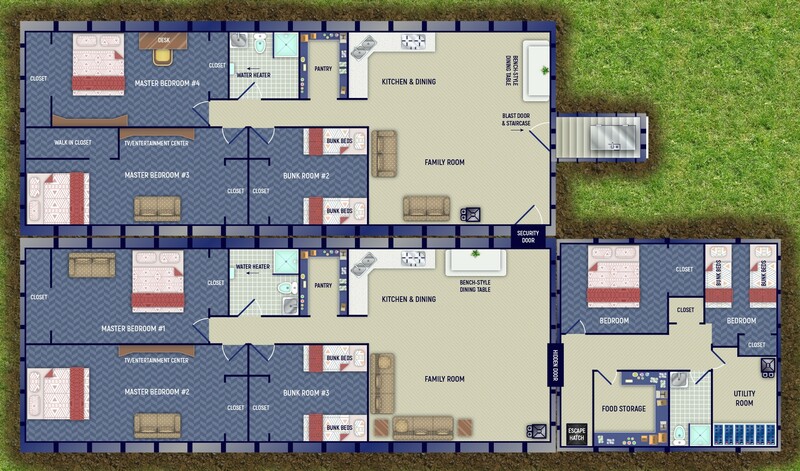 The floor plans below are standard layouts but don’t let that limit your imagination. 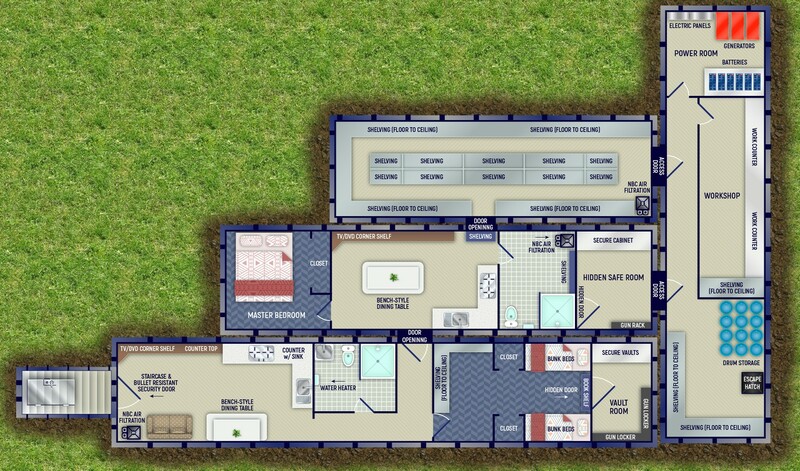 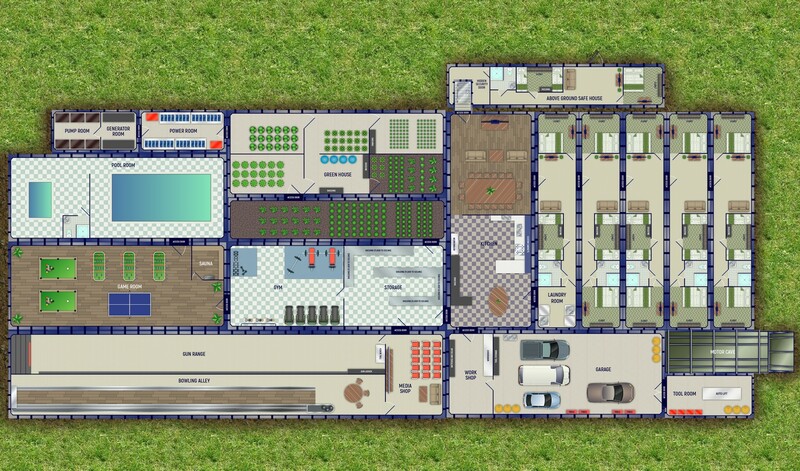 Every bunker/bomb shelter we build is customized to meet or exceed your needs and expectations. 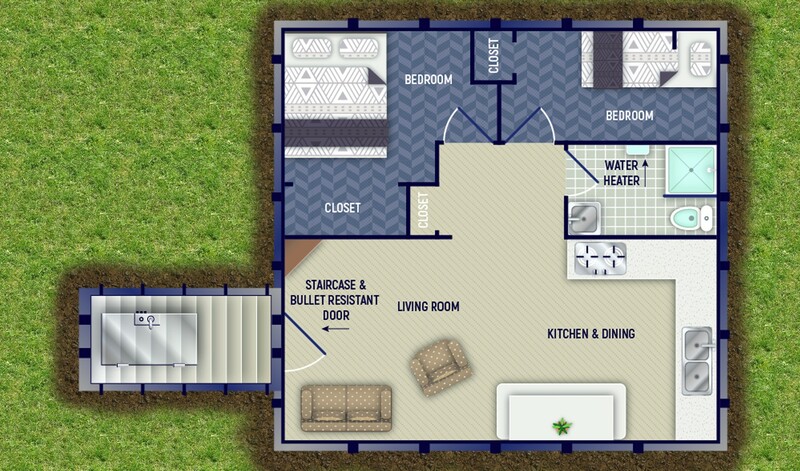 If you see something you like but you want to make some changes, it’s no problem. 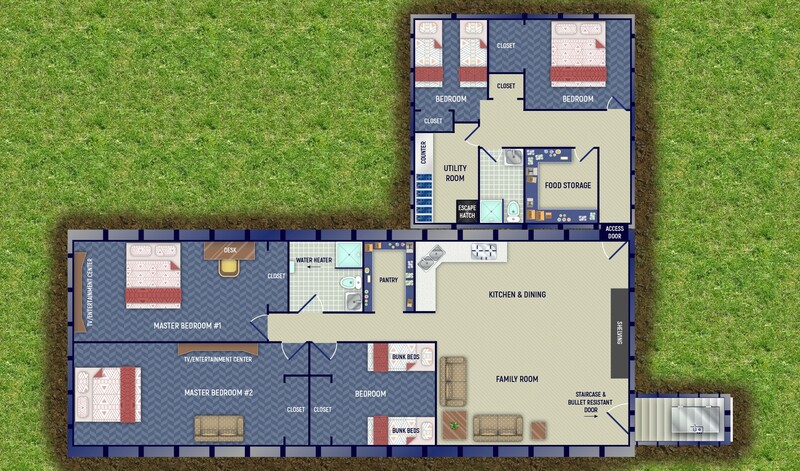 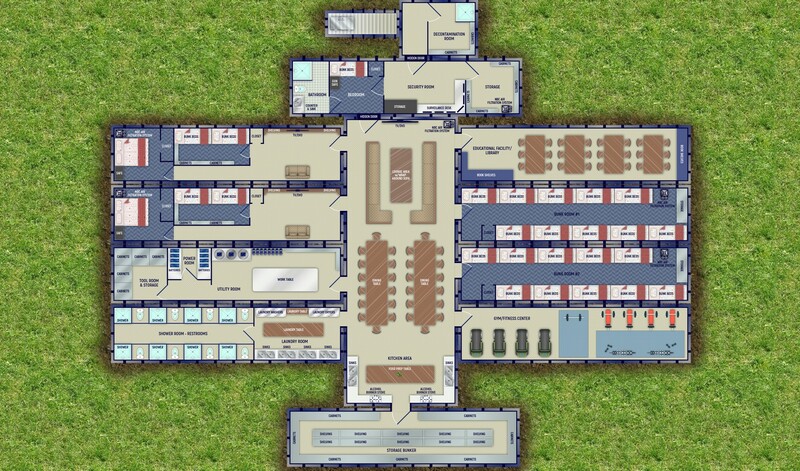 If you want to mix and match floor plans, that’s OK too! 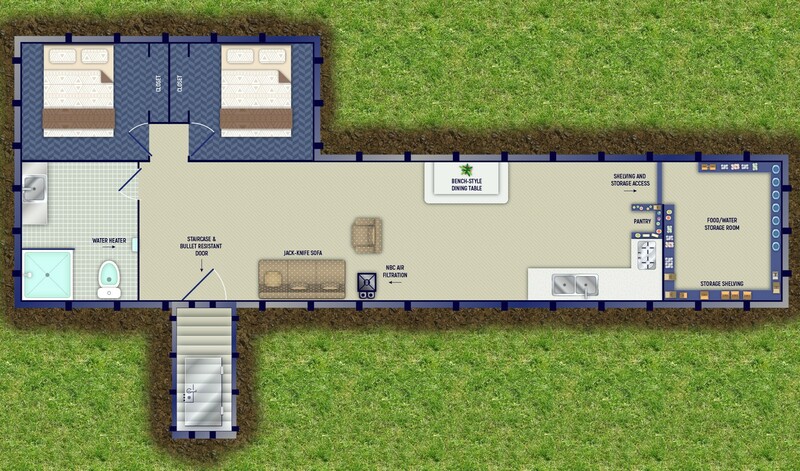 The only limitations in building your ALL steel custom bunker are your budget and your imagination. 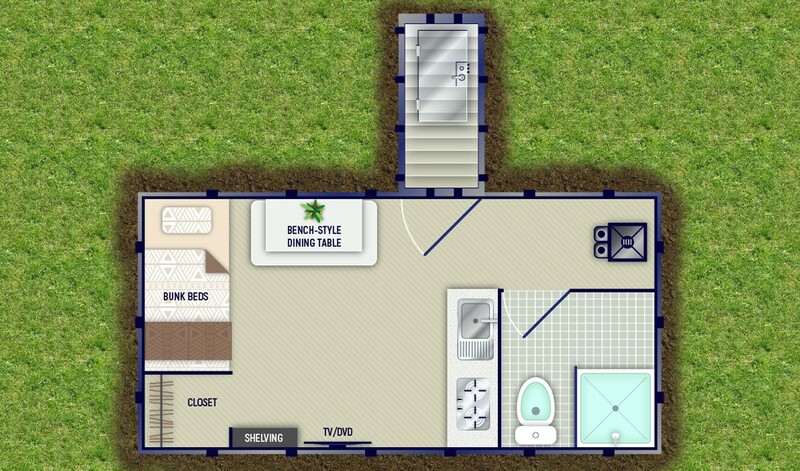 bunk bed | basic NBC air filtration system | kitchen counter | stainless sink | shelving in the kitchen | water pressure pump | +Much More! 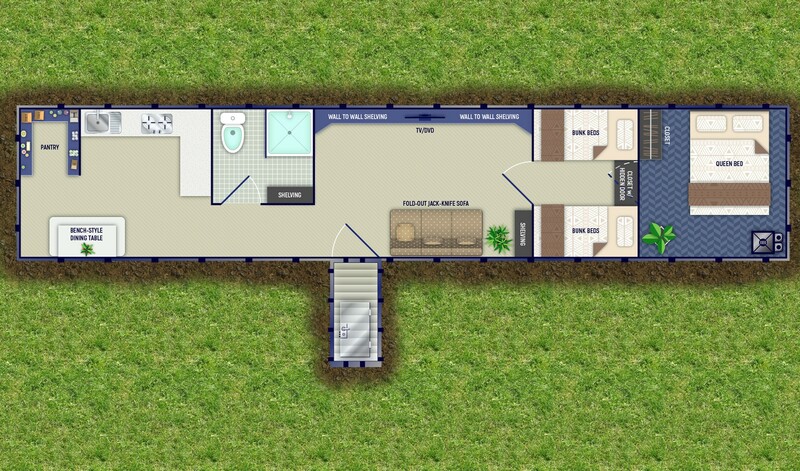 Jack Knife Sofa (Doubles as Extra Bed) | Solar Generating Charging System with Battery Supply | 12 Volt LED Lighting | 12 Volt TV/DVD Combo | 120/240 Volt Inlet | +Much More!